Sounds of music are floating around the home as Ben finishes mastering our demo CD. Four songs, for the the Lord. These songs will eventually be put on our actual CD. We are excited! Ben has been hard at work engineering in the Cave (our studio!) and every one has put hard work to meet today’s deadline. We will have more tweaking/recording to do on the songs, but the demo has turned out pretty good for our time constraints. Yesterday we got the CD inserts printed and they turned out nice, if I say so myself! 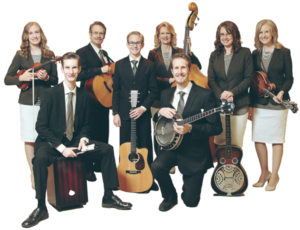 We are preparing to attend the Midwest Quartet Convention in Des Moines, IA this weekend, not as performers, but as audience. The “bus” leaves tomorrow morning and will return Sunday afternoon. We are looking forward to being blessed by the music and most of all, learning. Each concert is a learning experience, whether if it’s a professional group’s concert, or our own, we learn from observance, happenings, and conversations. Leesha, Sam, and Jayme are just happy to be going to a Southern Gospel concert, as they missed the last one due to chicken pox. If you are attending as well, be sure to say “hi” when you see us. (Don’t worry, you can’t miss a family of eight filling up a whole pew!) We’d love to visit with you! 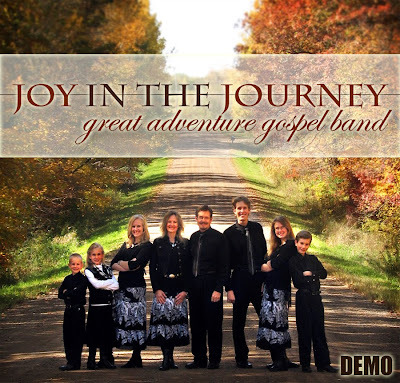 Also, look for more info about a special concert with our friends, the Alzen Family, coming soon! Have a great, God-blessed weekend!